For those of you that don't know (which can't be many as I've literally not stopped talking about it... 🙄), James and I have recently come back from travelling round (some of) Cuba during April, and it was AMAZING. I say 'some of Cuba' as until we started thinking about our itinerary I had no idea the island was so big - it's massive! We spent a good seven hours in a car one day, six the next, just getting to different places, and just scratched the surface. 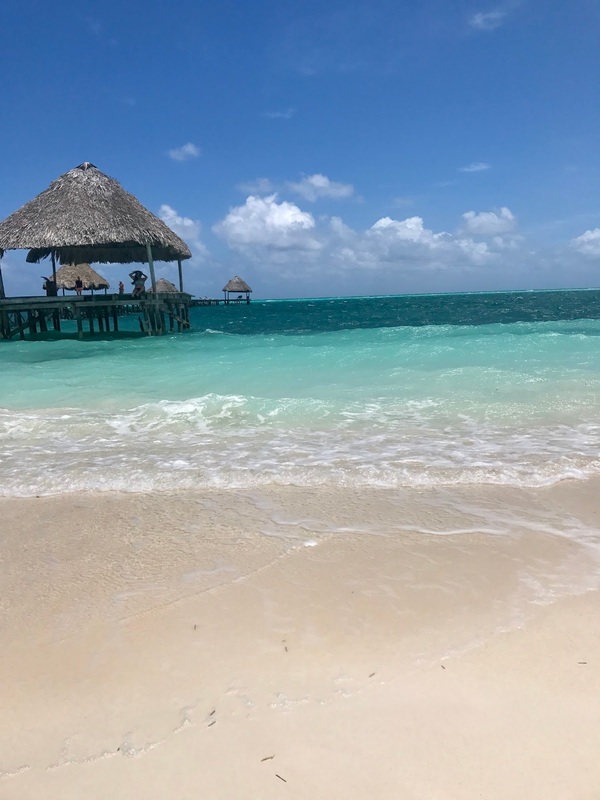 We were there for 12 days but it felt like so much longer - we packed so much stuff in, exploring Havana, Trinidad and Cayo Guillermo - which was perfect as we got a fix of a city break, village / countryside and a Caribbean beach resort. Safe to say Cuba has it all. If you're looking for adventure with a Caribbean climate, you're in the right place. I'm going to do a separate post on each destination as there's too much to fit in one post - so I'll link to the Havana, Trinidad and Cayo Guillermo posts here, once they're done. 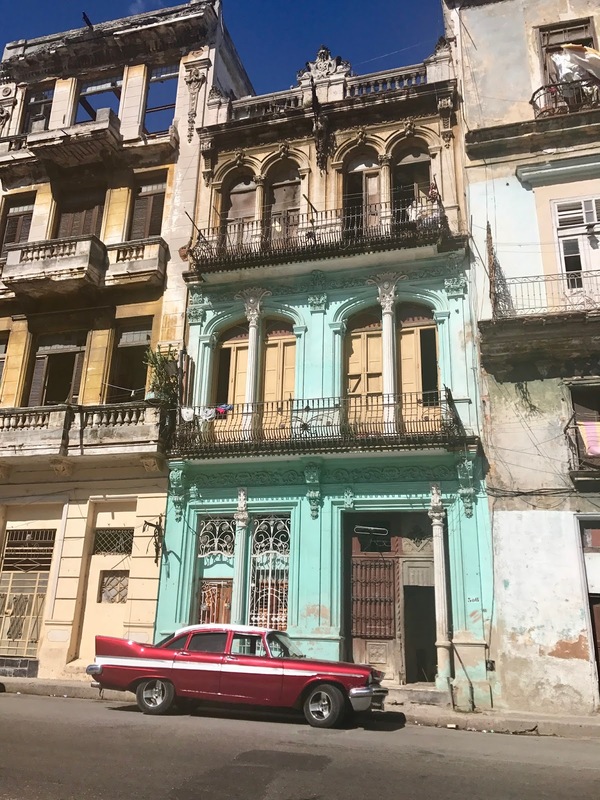 Havana was first on our list, but before I get into that, I want to offer some practical information about travelling there, as I'd read a lot on the internet. 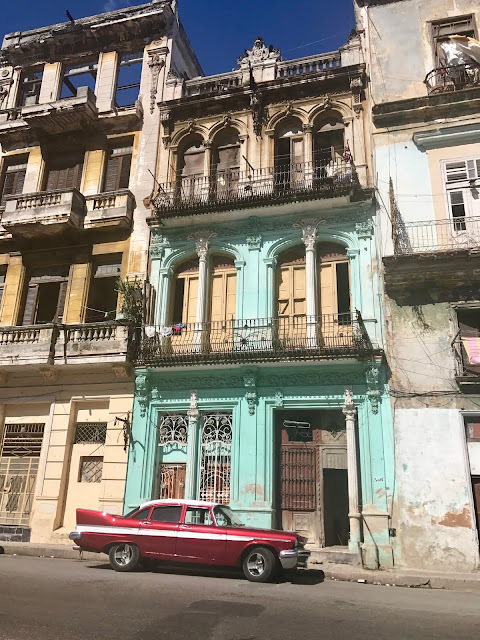 When I looked into a few travel blogs / guides on Cuba, the overwhelming themes from people were a mix of contradictions - 'frustratingly beautiful', 'timeworn but magnificent', 'maddeningly frustrating' and so I was a little unsure about what to expect! It is dilapidated; desolate at times, but so incredibly beautiful, safe and full of stories. I got the Lonely Planet Cuba guide and found it really useful - I'd definitely recommend using it as a basis for planning your routes etc. I also got a Spanish phrasebook and we made a real effort to learn a few key phrases, so we didn't look ignorant, and it's amazing how much we picked up in such a short space of time! It's backwards, slow and (at times) frustrating as nothing works as we know it. Travelling is full of random surprises (like the domestic flight we got on that unexpectedly diverted totally out of the way to another random city (Holguin) hours away from Havana...). So try not to stick to rigid itineraries and allow some 'teething' time to get from A-B. This took some adjusting for me as I'm a total control freak! As a country under communist rule, there are quirks. We sometimes found it hard to find shops that sold water, for example, and there was definitely an air of foreboding near Government buildings. I'd read up on some Cuban history as I'd be the first to admit I didn't know all that much about its political turmoil, and watched a good docu-series on Netflix called The Cuba Libre Story, which tells the history of Cuba's fight for freedom. Nevertheless, I didn't want to offend / provoke anyone by saying the wrong thing about the regime, so kept firmly out of political discussions! There are two currencies in Cuba. CUC (pronounced cook) is what the tourists use, and then there's the CUP (Cuban Peso) which is the Cuban local currency. Sometimes you might get your change in the local currency, not CUC, so be sure to count your change - we didn't think we got given local currency as change but there were a few times when we thought we might have been diddled by people, so just be mindful (this was literally on like two occasions; generally, people were very honest). Also. You can't get your CUC before you arrive in Cuba. So, once you land (tired, disorientated, a bit boozed from too many complimentary drinks..), you then have to queue outside the airport to get cash. You'd think that, as they know that no tourists can get CUC anywhere else, there would be multiple cash desks etc but no - this was the most low key, slowwww queue ever. I think we queued for about an hour (or maybe it was two?). The guy who was driving us to our air bnb (more on that later) didn't have a problem with it though, he was clearly used to doing it! We got chatting to people in the queue and had a laugh about it all. Our flight was late in, and we hadn't factored queuing for money and so we arrived at our hotel hours and hours later than planned. This was absolutely fine though, they are used to it, but my hopes of a late night dinner / first night out in Cuba were dashed! Also, it's worth noting we didn't feel vulnerable or unsafe in this queue, despite there being a lot of local people hanging about knowing that everyone was there to withdraw enough money to sustain them for a holiday. Still, we kept our wits about us and remained vigilant! Cuba's truly a place you can go to and do a 'digital detox', as getting hold of internet takes effort, time and money. Basically. there is one internet provider for the whole country. There isn't widespread data and everyone relies on wifi 'zones'. You go into a shop selling internet scratch cards (when I was there I only saw cards for either 30 minutes or 1 hour), and scratch off to reveal your unique log in and password. This doesn't then mean you've got internet though... you then have to find a wifi zone, which tended to be around large international hotels where people would use the hotel's wifi, or parks etc around the city. Essentially it's Pokemon Go but for internet. Locals and tourists alike flock to these squares and you just see people scrolling... we didn't bother with internet until we got to our final destination as it was an international hotel, and even then it was patchy; it logs you out all the time, the signal isn't great, and some webpages aren't accessible. We spent a whole evening weighing up flights and in the end we flew from Manchester - Havana with AirFrance via a quick stop over in Paris (was a little nervy as the flight to Paris was delayed and we had to run to the next gate..only to find our Havana flight was delayed too!). It's worth noting that AirFrance don't sort your visas, unlike some airlines (I think Thomas Cook sort them for you), so be mindful that you'll have to sort this out! I Googled 'cuba holiday visa' and paid £30 for my visa + delivery. AirFrance don't make it obvious that you'll need to sort this out, so be aware of this with other airlines! It's an incredible place to visit, just don't plan your itinerary to the hour as you'll most likely have your plans changed due to transport! SO, sorry if that was a bit information heavy, but hopefully if you're thinking of travelling to Cuba (which I highly recommend you do), you've got some practical advice! Anyway, now all that's out the way, let's get on to HAVANA... an incredible city.